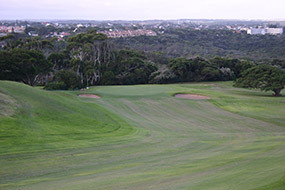 One of South Africa’s oldest golf clubs, East London’s current course is a charming layout built amongst thick native bush on fabulous coastal duneland along the Eastern Cape. Reminiscent of other heavily wooded seaside courses such as Newcastle in Australia, it was designed by George Peck and Colonel S.V. Hotchkin and opened shortly after the First World War. The strength of their course is the front nine which tumbles wildly across beautifully rolling ridges, the unconventional routing heading into and around the dunes, plunging down valleys and over hills to hidden targets. There are probably a few too many short par fours for the modern golfer’s liking, but those early on are genuinely fun to play and only offer up birdies to players taking an aggressive line from the tee. Holes like 1, 3, 4 and 5 are all terrific while the 9th is a cracking hole that heads over a large crest then down and left through a pronounced bush-lined valley. On the back nine the 12th is a standout and follows a similar shape but rises toward the coast and offers players great views of the nearby Indian Ocean. Elsewhere the short 17th is a fabulous par three and although most of the other closing holes are fairly ordinary they fail to tarnish a tremendous day’s golf. 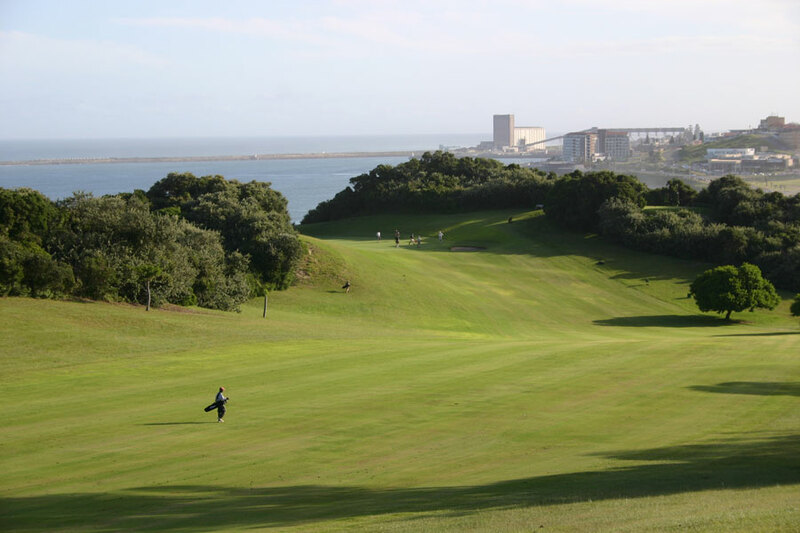 In terms of topography and quality, East London is a real roller coaster and is the sort of high class, unpretentious golf course that South Africa desperately needs more of.